Together with fellow airliner modeler Arjan we decided to put up a small line of airliner modeling parts and decals. Some of you already bought a set of our resin A320 series sharklets. 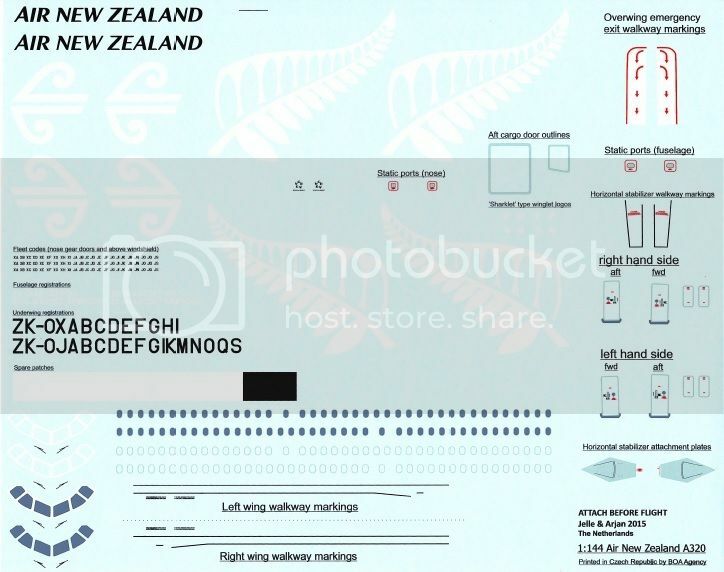 Now our first decal sheet is available! We got them screen printed at BOA Bodocek Agency in the Czech Republic. We chose them because their printing quality is excellent; very nice and thin decals that form well around curves and panel lines. Nice Jelle, congratulations with your first decal! I'll surely order one. I'll send you a separate email. Looking forward to other liveries. a large extra piece of decal to fix mistakes while applying the livery. By the way, the sharklets you send me simply incredible!!! Thanks for your kind words Walt!! Arjan did all the resin castings and I did the decal design. I tried to make the decal suitable for as much modelers as possible. 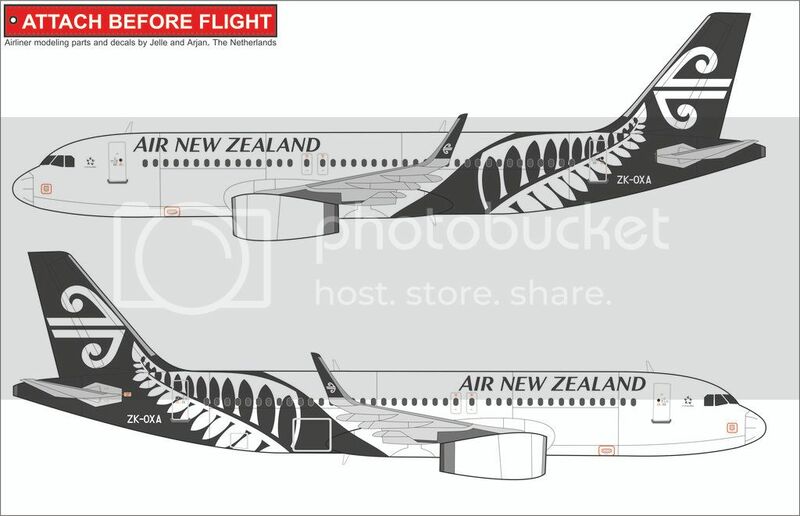 Personally, I really hate cabin windows being printed through the livery, so I will always keep them separate. If you guys have any suggestions for a decal that hasn't already been done and doesn't contain too much colours, let us know! Since you're asking : KLM decals (the new livery) for the 787-9 and ERJ-175 would be great. Others on my list for KLM would be the DO-328 (KLM Alps) and the ERJ-120 and ERJ-145 (both KLM Excel). The cheatlines would not even be necessary as they can be painted. The KLM DC-4 and DC-6 would also be nice, but they are quite colourful. Thanks for your feedback! I appreciate it. Your point is valid, however, the decal can be applied without too much fitting problems. I test fitted it onto a Revell A320 and the top and bottom of the fern leaf end up in the right places. 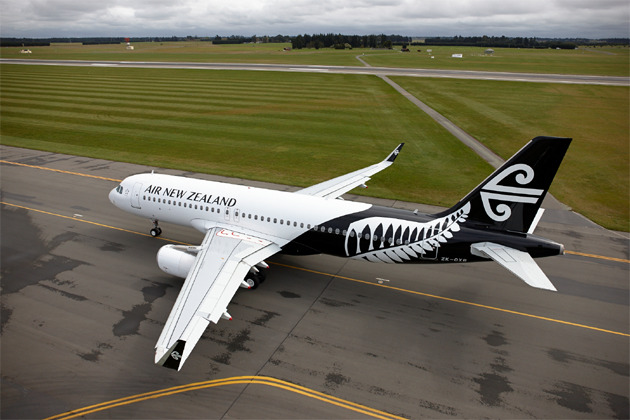 As the BOA decal film is very thin, it allows for quite a lot of stretching (which is a challenge when applying the cabin windows and wing walkways, though). I see it is stretched on the photo you linked. I'll definately keep it in mind on my next project! If you have any other tips and tricks, I'll gladly hear it from you. Congratulations Jelle, im also a BoA decal user, and as you said their quality is real good, i dont think the modeller will have any issue when placing their decals, looking forward to see the finished model.